Prior to House of Cards Season 6’s world television premiere, Zee Cafe set out to release a series of videos featuring influencers and industry leaders under ‘Power Trails’ highlighting leadership lessons from the series. Prior to its world television premiere, the channel ran a campaign titled ‘Power Trails’ featuring industry front-runners from prominent brands, leading agencies and influencers who put the spotlight on leadership qualities from the show which are worth noting. Instead of taking the common vanilla marketing route, Zee Cafe kept it interactive and involved industry icons to take the discussion ahead with the series on the lines of – “One Leadership Lesson that House of Cards has taught me is…….” These key influencers shared their most poignant lessons from House of cards that could lead you on to your own power trail. ‘Power Trails’ is a testimony of industry leaders and key influencers from media agencies and prominent brand partners about the leadership lessons to be learned from Claire Underwood and House of Cards. While for some the takeaway were about being a problem solver, for other it was all about never losing focus from your goal. These videos were promoted through emailers, on social media, and through a banner placement for a period of 10 days. The campaign attracted a total of 19K Impressions on Twitter and LinkedIn. It garnered a reach of 648K on Facebook. House of Cards premiered in India on February 20, 2014, on Zee Café. Seasons 1 and 2 were aired back–to–back. The channel aired all 13 episodes of season 3 on March 28 and 29, 2015. 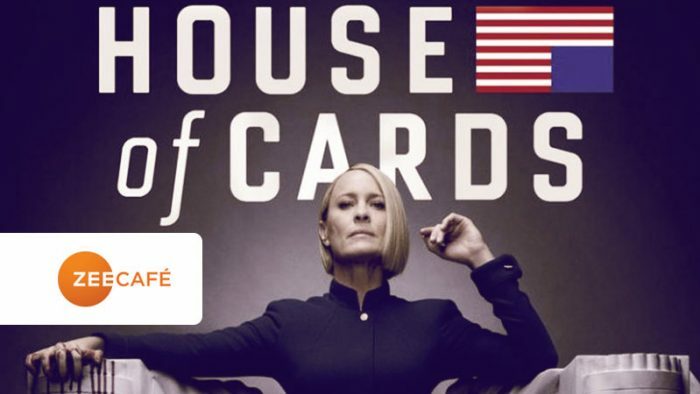 Although Netflix launched in India in January 2016, House of Cards was not available on the service until March 4. All episodes of season 4 had their television premiere on Zee Café on March 12 and 13, 2016.